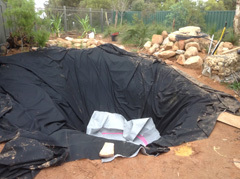 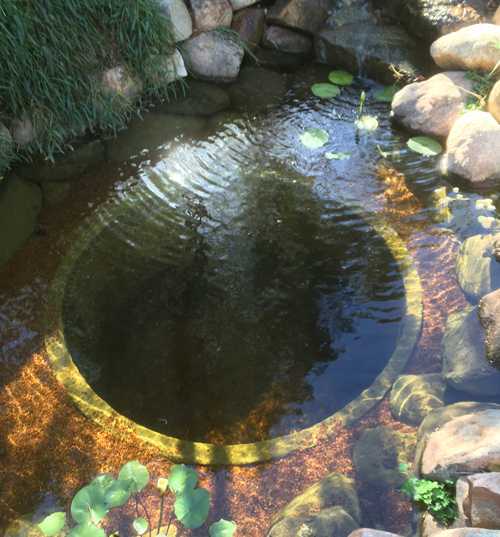 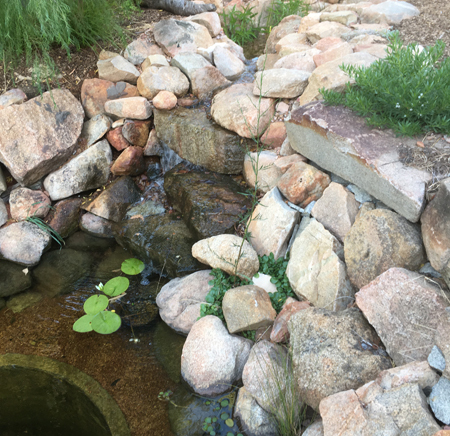 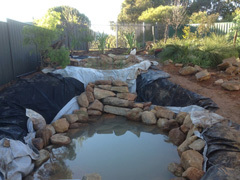 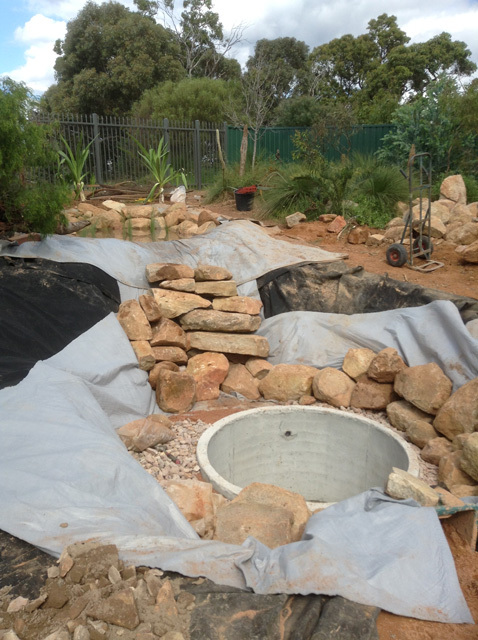 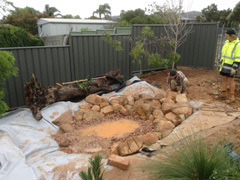 The pond is naturally filtered using an Aquascapes upflow constructed wetland filter and then has a cascading waterfall into the plunge pool swimming area to add oxygen to the water. 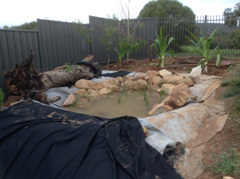 It currently has a breeding population of motorbike frogs (Littoria moorei) and ornate rainbow fish (Rhadinocentrus ornatus) an Australian native fish. 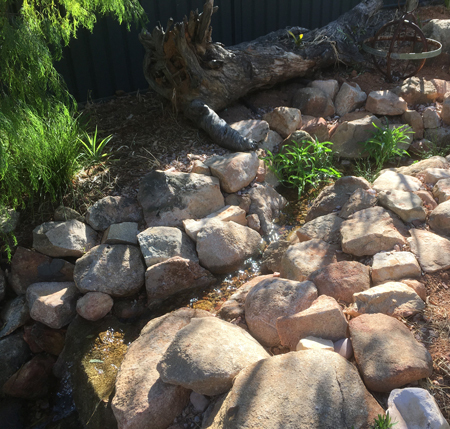 It is has all kinds of birds coming and going all day long for drinks and swims, as well as regular visits by dragon flies and and other insects. 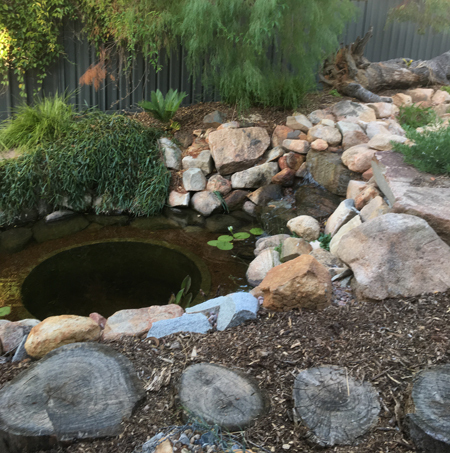 Though it's only small it's great for a quick dip on a hot day or a nice spot to dangle your toes with a cold beer or wine in hand.